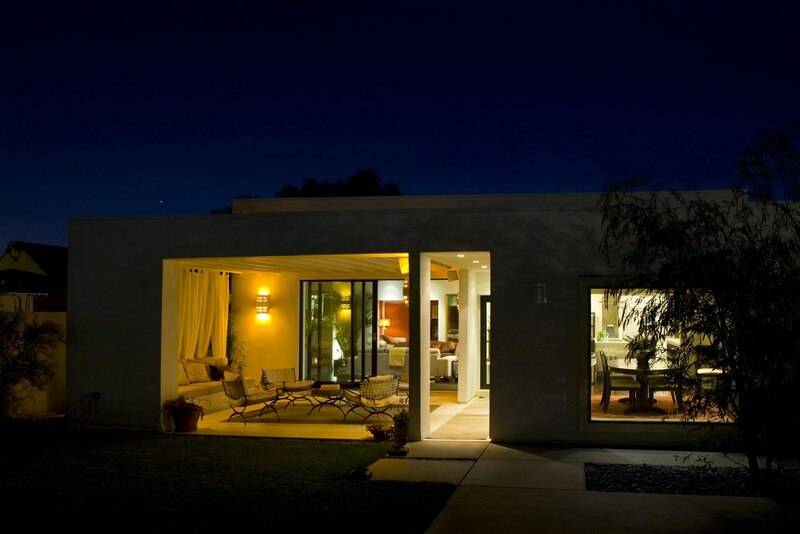 The Contemporary Bungalow is an extensive remodel and addition of a box-shaped 1920 Catalogue Home. While the house was given a decidedly contemporary expression, its scale remains compatible with this neighborhood. Large telescoping glass doors open the entire living area to the backyard. A trellised patio, small pool, "inventor's workshop" and cabana that can double as a carport complete this modern oasis in the middle of the city.